The 80’s gave us many things. Scarface, the U-Boat Commander, and materials for dashboards that over time and exposure to the sun end up looking like the face of a cocaine addict. At least, that’s what I think? In any case, what I’m talking about today is the Red E’s dashboard. 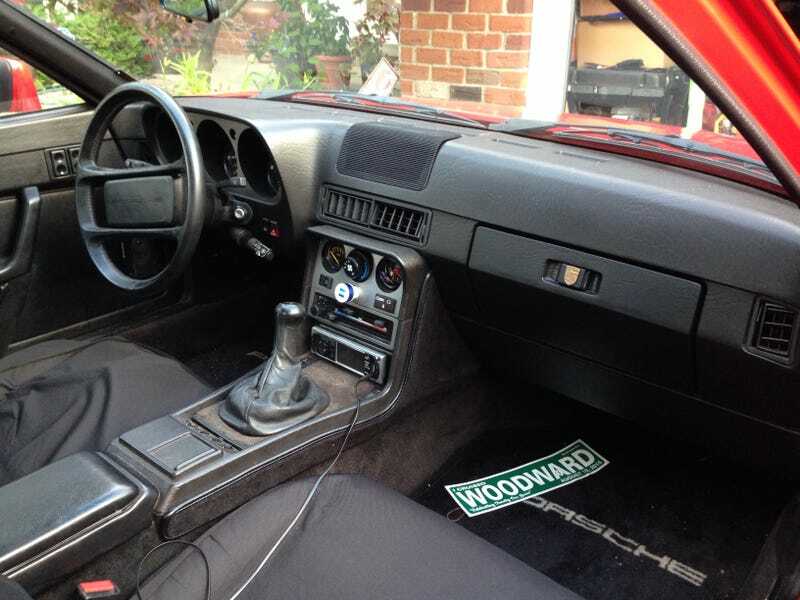 Finding an original 944 dash without any sun damage or cracks is a holy grail or godsend. Mine was very nearly close when I bought it; however, my laziness combined with parking outside most of the time has led to some more cracks forming and expanding as seen in the picture below. I accept full responsibility for it, and much to my dismay, it is quite the eyesore to me, as the cracks are reflected in the windshield on sunny days. Something must be done about it! 1. Leave the dash as is and deal with the cracks as they get worse and your OCD about it deteriorates your mind to mush. It’ll still be original, but you’ll wanna claw your eyes out like a crack cocaine addict....That is what they do, right? 4. Go to Joann Fabrics, buy a yard of marine grade black vinyl for 60% off per yard(under $10 a yard in this case), and spend the man hours yourself removing the dash, going through 31 years of electronics, and trying to get it done yourself, or follow this instructional and inspirational video you might wanna follow.